Times are changing, and so are the methods that businesses are using for marketing their retail establishment. While these companies still depend on TV commercials and advertisements as well as ads in magazines and on the radio to help promote and sell their product, today there are tons of other options that make it easier to market to a large group of people One of those ways is retail SMS marketing. To benefit with retail SMS marketing it is essential that you are using the methods that are tried and true, the methods that have helped other businesses find accomplishing rewards and great business success. 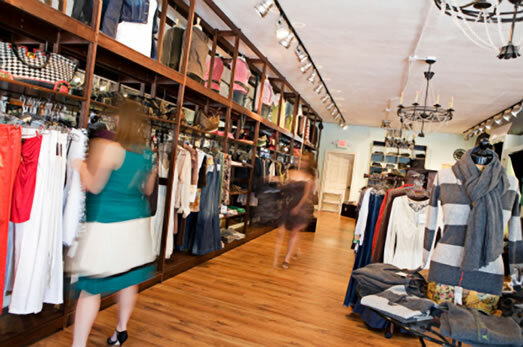 Take a look at these 4 solid ideas and enjoy those amazing rewards for your retail business. SMS marketing is a great way to spend special coupons that are available only to those who are on your list. Coupons work, and you can be sure that a good enough offer will get a ton of people inside of your retail store. Whether it is a special end of season clearance sale, a special one-day event or something else, make sure that you are always sending notifications of the sales to those on the SMS list. And don’t forget to send them extra-special offers the others won’t get. There are tons of promotional offers that you can offer to your customers, and giving those on your text message marketing list special preference to these promotions is a good way to find success. Whether you are offering a free sample to those that text a shortcode to a number of a special sale when the message is shown, text message marketing enables you to do it and reach more people in a quicker amount of time. Offering regular promotions will show the consumer that you care and keep them interested. Closeouts and clearances at your retail establishment is big news to the consumer who is looking for a deal. By sending notification of these offers via mobile messaging you can be certain that you get rid of as much inventory a possible while also showing customers that you know how to give them an awesome deal. You can easily send out a text message and get many people in your door and more merchandise out of it. What is the slow day in your retail establishment? All stores have them, and a solid strategy for benefiting with your SMS marketing campaign is to attract people inside during these slow periods. There are tons of ways this can be done, from special savings and deals to coupons and events. These 4 solid strategies are just a handful of the many ways that you can put SMS marketing to good use for your establishment. When it is success that you seek, be sure that retail SMS marketing is something that is utilized. As you can see there are many ways in which it can benefit you, and these are just the beginning of the possibilities you are offered. SMS marketing success rates are as high as 90%…Your message will be read! Retail SMS marketing really works, and if you are a retail establishment looking to take your business further, do not miss out on this astonishing opportunity to market.